UK Single bed sizes are commonly 92 x 191cm although you may have a variation of this if you have purchased a european single bed or an adjustable single bed. Single beds are great for children and adults alike, making just enough space to get comfy while not taking up to much room. We make and stock a massive range of bedding for single bed sizes including deep fitted sheets, bed valances, toppers and more. Our most popular products are listed below, if you can't find what you are looking for please call 01706 220020 or drop us an email, we'll be happy to help. Single Fitted Sheet in 540 Thread Count Satin Stripe, 100% CottonFitted Sheet to fit 3' x 6'3", 91 x.. 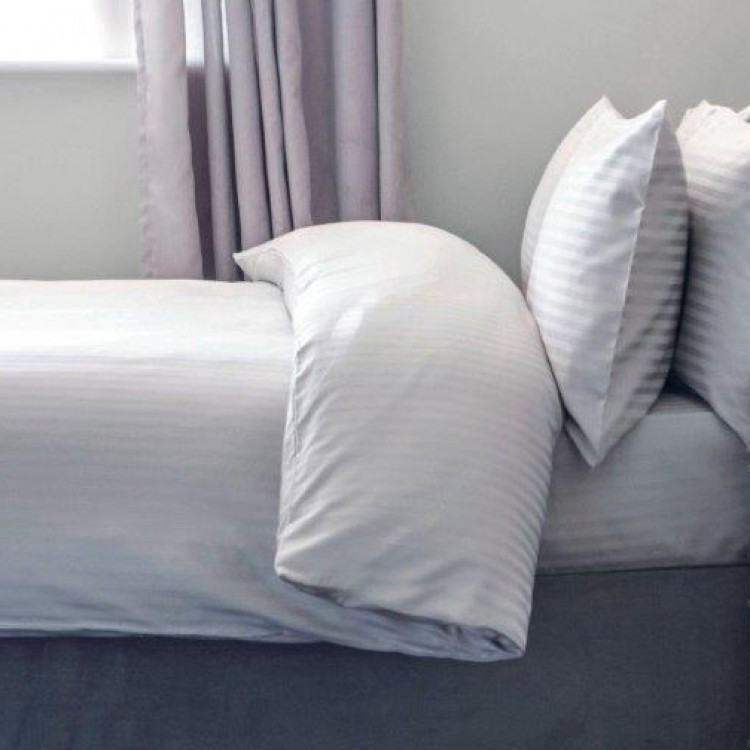 Single Fitted Sheet in 100% Egyptian CottonTightly packed yarns of beautiful Egyptian Cotton.Fine 20.. Single Fitted Sheet in 100% Mulberry SilkSuperior 100% Mulberry Silk fitted sheet.Luxury Fitted shee.. Single Fitted Sheet in 1200 thread countSuperior 1200 thread count fitted sheet in 100% CottonLuxury.. Single Fitted Sheet in Satin Stripe in 4 ColoursLuxury 540 thread count fitted sheet in Egyptian Cot..
UK Single Fitted Sheet in Poly Cotton - 11 ColoursFitted sheets to fit 3ft x 6ft 3", 92 x 191cm .. Single Flat Sheet in 100% Mulberry SilkSuperior 100% Mulberry Silk Flat sheet.Luxury Flat sheet to f.. Single Flat Sheet in Satin Stripe in 4 ColoursLuxury 540 thread count Flat sheet in Egyptian CottonF..